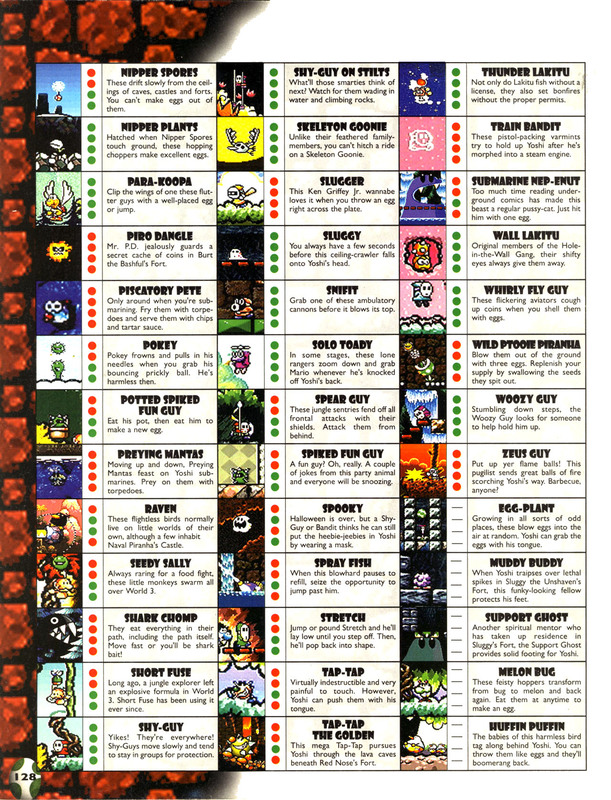 Melon Bugs are harmless, pill bug-like creatures that appear in Super Mario World 2: Yoshi's Island and Yoshi's Island: Super Mario Advance 3. 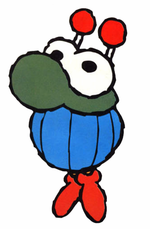 They bounce up and down, but when Yoshi gets too close, they roll up into balls, which resemble melons, hence their name. If Yoshi gets close enough, he can eat them and then spit them out, causing them to roll across the ground, destroying any enemies in their path. Korogari-kun From 「転がる」korogaru (to roll); 「くん」kun is a title used to refer to (usually male) children/teenagers. 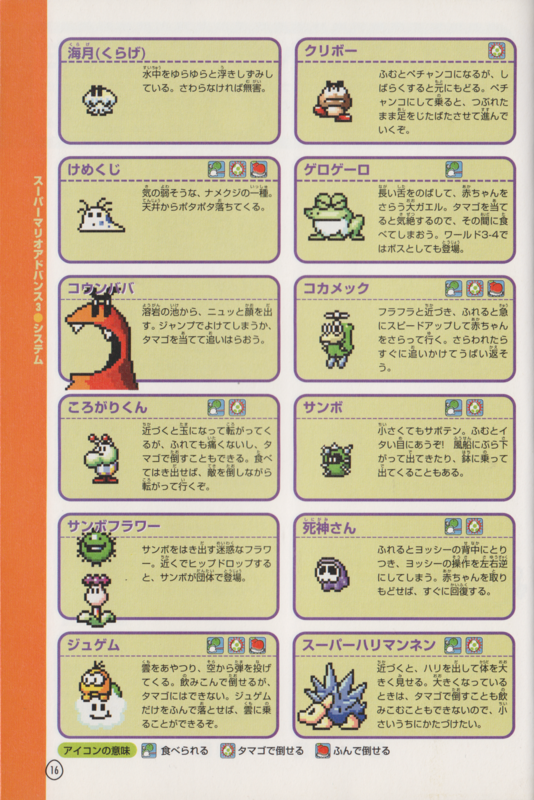 ↑ 「スーパーマリオアドバンス3任天堂公式ガイドブック」 (Super Mario Advance 3 Nintendo Kōshiki Guidebook), page 16. This page was last edited on September 29, 2018, at 08:34.